One of the most popular supplements on the market is fish oil. People take it every day, but many don't really know why. If pressed for an explanation, they might mumble something about omega-3s being good for them. But they might not be able to articulate exactly what they do. If that's you, this might help. 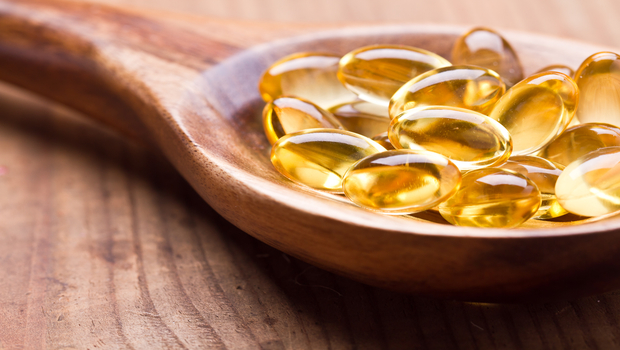 Yes, taking a fish oil supplement is good for you. And yes, it has to do with the omega-3s they contain. Omega-3s have a lot of benefits for the body – in fact, there are too many to get into all of them here. But some of the latest findings about omega-3s show you how they can keep both your mind and your vision sharp. As you may know, free radicals are toxic particles that wreak havoc on your cells and they're a major cause of oxidative stress. Too much stress, and your cells die. They're the reason I'm always telling you to get plenty of antioxidants, which mop up the free radicals before they can do too much harm. And according to research recently published in the journal Cell Death and Differentiation, the omega-3 fatty acid docosahexaenoic acid (DHA) is a great ally in the fight against oxidative stress. This is particularly true when it comes to protecting your brain and retina cells. While cumulative oxidative stress will slowly kill these cells over time, the process speeds up rapidly when a traumatic factor like a stroke, neurodegenerative disease, or eye disease gets involved. Fortunately, there's a protein that can help DNA repair itself and defend itself against a destructive protein that forms in the wake of a stroke. This helpful protein is called Iduna. To make Iduna, the body needs a lipid messenger called Neuroprotectin D1 (NPD1). And to make NPD1, the body needs — you guessed it — DHA. Having enough NPD1 can be a matter of life and death for your brain and retinal cells. But your body needs DHA to make it. It's vital if you're suffering from a neurodegenerative disease or an eye disease or you just want to make sure you're protected in case you ever suffer a stroke. So it's wise to make sure you have plenty of DHA in reserve so your body has everything it needs to get to work producing NPD1 when it's needed. A great source of DHA is Complete Daily Oils, which supplies you with DHA as well as EPA, CoQ10, mixed tocopherols, and alpha-lipoic acid. I could go on and on about the benefits of these oils, but I can't think of a better place to start than protecting brain cells from dying. What makes this formula unique and comprehensive is that not only is it high in DHA and EPA, but the DHA and EPA is protected from oxidation. This is a major problem in many omega products. But the addition of the antioxidants, mixed tocopherols, CoQ10, and alpha lipoic acid keep it from oxidizing. This formula is truly complete.